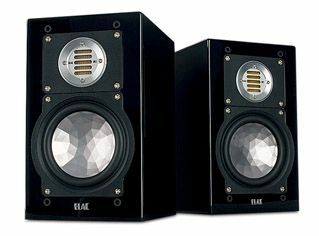 Elac BS243 review | What Hi-Fi? Thanks to a new distribution deal, Elac is again a presence in the UK market. Good news for anyone who craves excitement (visual or audible) from their speakers. The BS243 are dramatic lookers thanks to the JET foil membrane tweeter and contoured 15cm mid/bass driver. The drama keeps coming. Pacey, hefty and texturally varied at the bottom end, with space and attitude to spare in the midrange and whippet-like levels of speed and substance at the top, the Elacs tear into The Flaming Lips’ The Yeah Yeah Yeah Song with real purpose. Substantial dynamic shifts present no problems, the soundstage is cohesive and secure at all times, and timing is decent if a little short of the stop/start alacrity of their best rivals. There’s no let-up, mind you: the Elacs are dogged in their quest for energy and excitement, and this relentlessness can get wearing over time. In short bursts, though, they’re nothing short of thrilling.